Clearwater, Florida is a progressive city that is committed to enhancing residents’ lives while preserving a heritage that is rich in culture and exquisite in landscape. Here you’ll find everything you could expect from a tropical paradise and much more. Today, fun ‘n sun lovers still come from around the world, and although Clearwater is a great get-away location, it’s an even better place to live. Our community is friendly and socially responsive, and our city government is economically active and environmentally conscious. The city provides residents with programs and resources they need and the amenities they desire. No alcohol is permitted on Clearwater’s public beaches. Swim within the “Safe Bathing Limit” at all times. This area extends 300 feet west of the high water line and is clearly marked by buoys or pilings. Boaters and jet skiers are not allowed inside the “Safe Bathing Limit” area. …a winding beachside promenade with lush landscaping, artistic touches and clear views to Clearwater’s award-winning beach and the water beyond, a place where bicyclists, rollerbladers and pedestrians all have safe and convenient access and where visitors and locals can socialize, dine, play games, or simply enjoy the spectacular sun and surf. This is Beach Walk- Five years in development, Beach Walk is revitalizing the community that surrounds Clearwater’s popular south beach destination, which hosts generations of visitors from all over the world. Part of the city’s “Beach by Design” plan, it plays a vital role in attracting new hotel development to the beach. The project is transforming the look and feel of south Clearwater Beach, delivering new vitality to the area, and providing a setting that complements the beauty of the true destination: our pristine, white beaches. Why Beach Walk? 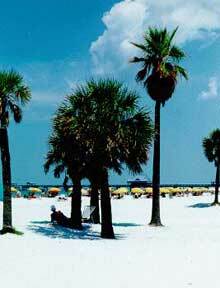 -Tourism is Clearwater’s number one industry, and the beach is at the center of the tourism. 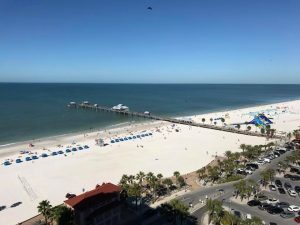 City and tourism officials recognize that it is important to preserve overnight accommodations for the millions of visitors who come to Clearwater year after year. Beach Walk is bringing visitors closer to the beach and providing an environment that draws new hotel, retail, entertainment and restaurant business for out-of-town visitors, residents, and day trippers. Several new hotel projects are in development in part because of Beach Walk. Modern amenities and a true “beachside experience” are what Beach Walk is all about. We invite you to experience Beach Walk for yourself. 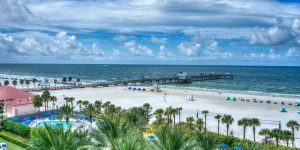 Click HERE for some hotels offers in Clearwater.